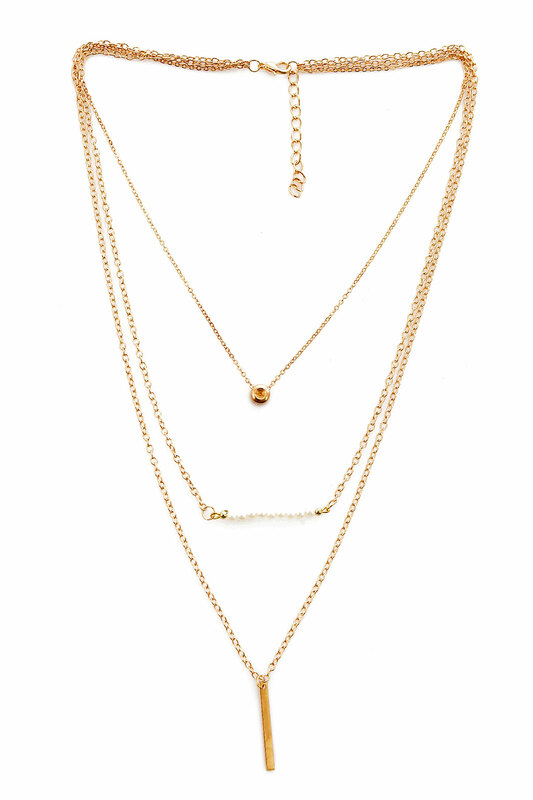 The Multi-layered designed necklace featuring with Polished finish. 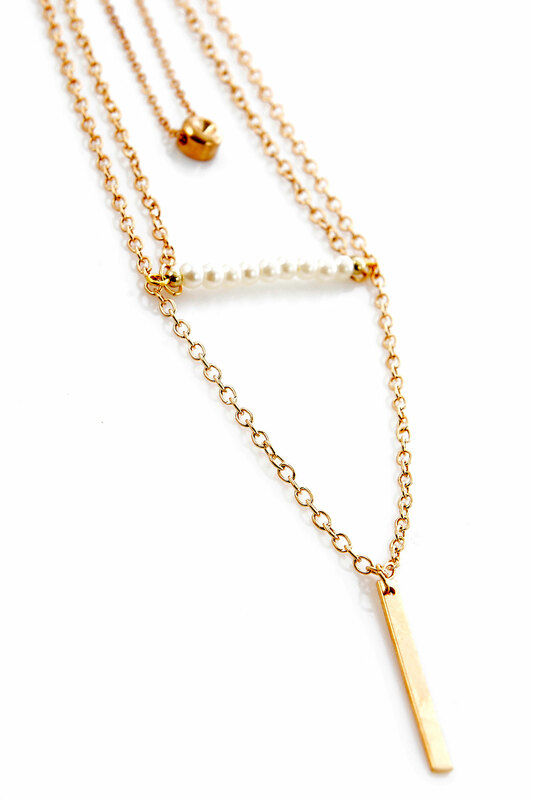 geometric figure pendant. Curb chain.